Our FREE online ergonomic consulting can give you real solutions fast. Our online service delivers cost effective solutions to you by putting you in touch with professional ergonomic consultants through our online service. Our online questionnaire can target where your personal ergonomic risk factors are and in many cases we can offer solutions online within 24 hours. Our online ergonomic questionnaire will help us target your needs and determine the best solution for you. If you need a more complex solution we can put you in touch with one of our nationwide ergonomic partners for an onsite consultation. We have key partnerships of ergonomic evaluators we trust and we can get you to the right person for your work setting and needs. 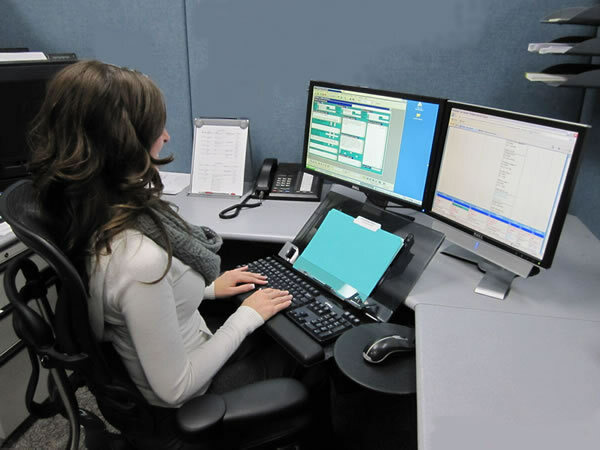 You can start your online ergonomic evaluation right now and find solutions that work, Fast! Click here to start your online evaluation!